We’ve managed to make it to midweek, which or may not have been a challenge depending on the type of week that you have had. With that said, regardless of how your week is going, it’s always a treat to be able to purchase some new products, gadgets, or accessories with significant price reductions applied. 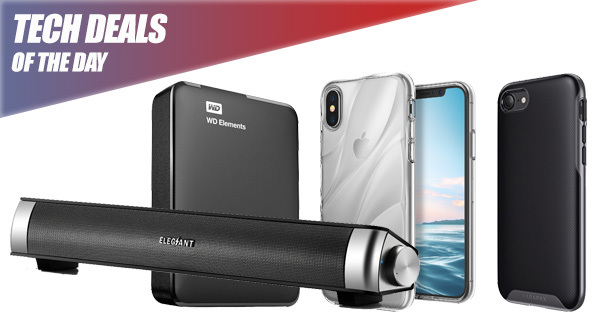 Check out today’s deals and make sure to act quickly before they are all gone. 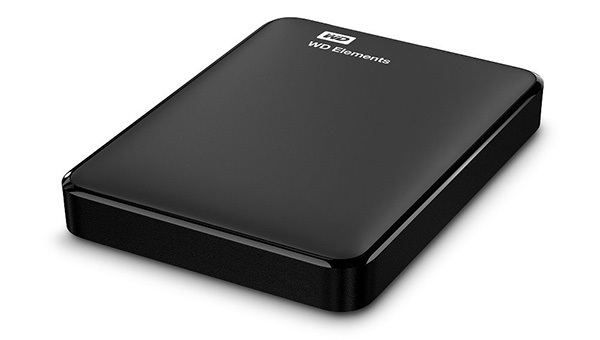 Starting off we are looking at a 1TB portable HDD from Western Digital, coming in at just $55, down from the usual $84 retail tag. 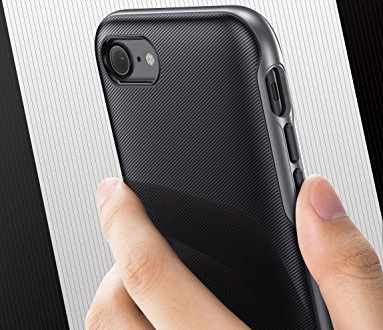 Next up, is a protective case for the iPhone X from Ringke for only $4. There’s also one for iPhone 8 that costs just $10? Last but not the least is a USB-powered Sound Bar for your desktop PC or laptop discounted by over 60%! As always, the deals listed here are only available for a limited period of time, or till stocks last, whichever happens first. So if you have a product of choice narrowed in your sights, make sure you act quickly before the offers expire. Enjoy the savings! Some people simply do not allow themselves to put trust into modern cloud storage platforms. That means that they have information to store, but prefer to keep it on physical media they can interact with, such as this Western Digital 1TB drive. It’s lightweight, extremely portable, and offers a whopping 1TB of additional storage. If you are planning on purchasing iPhone 8, or just want to make sure your iPhone 7 holds its value, then this is definitely a required purchase. This unique case offers a gorgeous 3D texture experience. It comes with a dual layer type build with a polycarbonate metallic frame to offer military-grade protection without comprising the gorgeous aesthetic of the device. Protect your iPhone 7 or new iPhone 8 (when it arrives), without the cost or compromise. iPhone X is finally here, and so are cases for aforementioned iPhone X. Manufacturers have clearly been working with Apple to get these cases ready based on official dimensions. 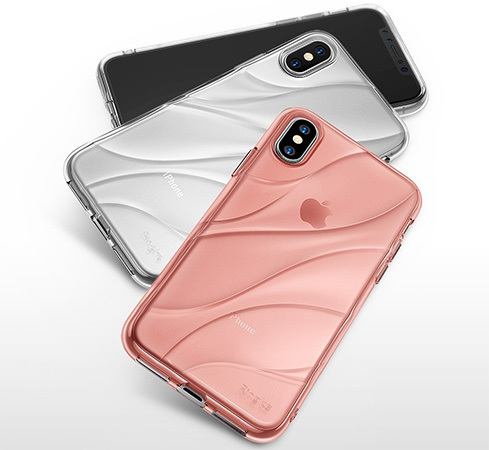 It comes with a soft and lightweight TPU transparent exterior with a design that will perfectly complement iPhone X. If you are planning on making that investment you will likely want to make a smaller investment to protect the device. Even better, you can grab this amazing case for just $4 using the following promo code at checkout: Z343HAZZ. People are typically used to purchasing sound bars and additional audio accessories to go with a TV installation, but this lightweight little product will bring the same experience to your desktop or laptop. If you need to increase the sound output of your machine, then you could do a lot worse than consider this little beauty. It’s powered by USB and doesn’t actually require any additional software to be installed to make it work.